The 442.500 repeater is located on Ford Creek Rd, Gray, TN. Approximately 1.2 miles SW of the I-81 and I-26 junction. This repeater has been in operation since November 2014. The site elevation is 1503 feet above sea level. The repeater is a General Electric Mastr Executive II Tx/Rx deck with a GE UHS (ultra high sensitivity) receiver pre amp. The tx exciter drives a Mastr II series 100 watt continuous duty PA equipped with a cooling fan. This repeater uses a Phelps Dodge duplexer and a custom Decibel Products DB-411/408 antenna. 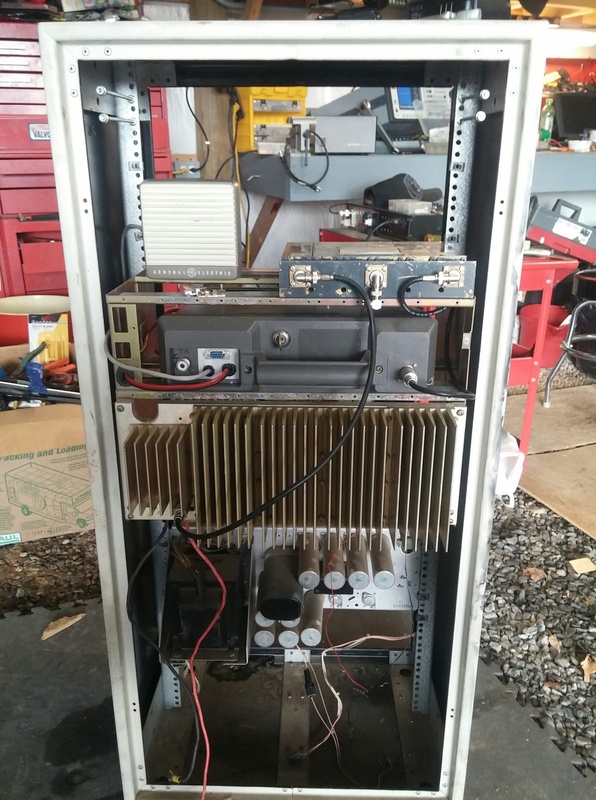 This repeater was built by K4ETN for KK4FPB and is slated to be part of the linked 440 system.